Custom cut packaging is produced using a variation of hot wires to achieve proper dimensions. Benchmark Foam had the opportunity to “return the favor” when a loyal customer, who typically gives plenty of lead time, needed an urgent order. 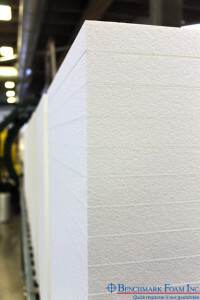 The order was for more than 6000 pieces of a custom-cut expanded polystyrene (EPS) packaging product. The EPS packaging material ensures the new condition of Larson® Storm Doors during transit. To maintain Benchmark’s well-known quality, prior to shipping, the Packaging products were subjected to established rigorous testing to meet the highest standard for strength, durability and protection. The urgent order was delivered two days later, as agreed upon for the On-Time Delivery Guarantee, which allowed Larson to continue shipping their products without interruption. Even when orders need to be rushed, Benchmark Foam still guarantees on-time delivery with every order. Offering a wide variety of options, Benchmark Foam can create a customized packaging solution for your next project. 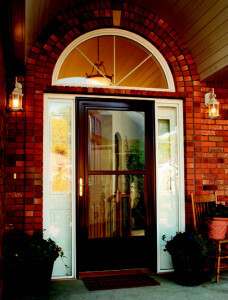 Call us at 800-658-3444 or 605-886- 8084 today for a free quote. All of Benchmark Foam’s products are protected under the On-Time Guarantee, so next time you’re in need of any EPS product, trust your order to deliver from Benchmark Foam.